Go starry eyed for the Grenadines – this yacht charter paradise evokes images of swaying hammocks, exotic beaches, and coral clad archipelagos. The island country in the Lesser Antilles reaches like a finger right down from St Vincent to Grenada, capturing a collection of small islands in its wake. Rumbling volcanoes, rich green rainforests, and cool waters set a mesmerizing stage for plunging into the glossy pages of the Caribbean. The Grenadines could be the destination that invented the ethos of island life. It is said that this little spot in the calm waters of the Caribbean has an island for every mood. From boutique bliss in Petit St Vincent to relaxed afternoon vibes in Bequia, and cruising the celebrity shores of Mustique, you will find all you need across this archipelago. Practically straddling the equator, the Grenadines boasts rich volcanic soils, salt water breezes and an abundance of sunshine. All of this adds up to the area being a fertile playground where flora can run wild. Horticulturists will be smitten by the chance to step from their yacht charter and explore the botanical gardens and nurseries. Poets and dreamers will also find the simple bliss of sweet fragrance and color an absolute charm. Stingrays, gentle Sea Turtles, blooming coral gardens and endless shoals of fish – the gorgeous Grenadines offers sublime diving and snorkeling. 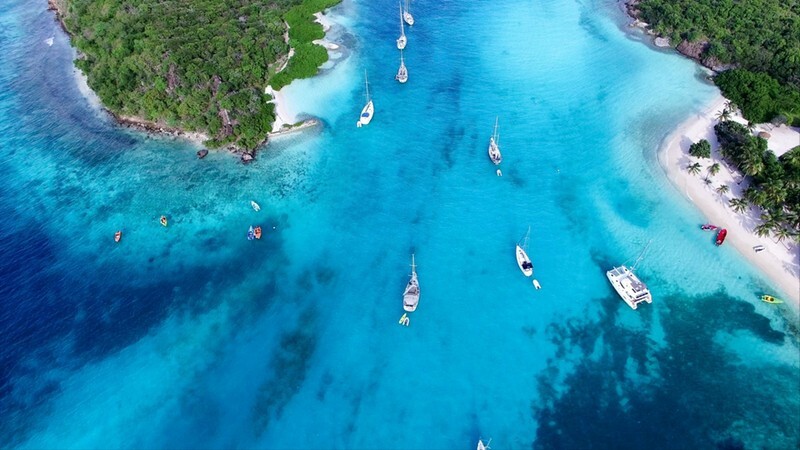 Canouan and the Tobago Cays are two of the best spots for dropping anchor on your yacht charter and grazing the surface facedown. Warm waters, crystal clear visibility and shallow coves teeming with life make for an afternoon of endless discovery. Caribbean carnivals are one of a kind, but Grenada boasts one of the best. Carriacou is one of the liveliest spots with bright bard style costumes, skits, and ancestral dances to the beating sound of drums. Of course, all festivities come with a good dose of rum and plenty of color. 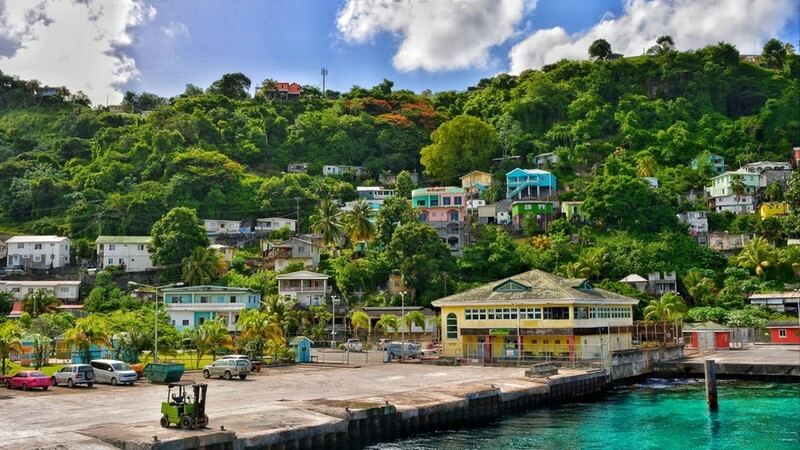 Fragrant hillsides providing a jumble of flowers, charter yachts dotting the bay, and a rich and unique whaling history makes Bequia one of the most charming spots in the gorgeous Grenadines. Admiralty Bay is where you will find most of the action – a row of stores and restaurants runs right along to the south side of pretty Port Elizabeth. For beach bliss you can’t choose wrong on Bequia, but the snorkeling of Lower Bay is said to be beautiful. Don’t get back on your yacht charter without swinging by the iconic Frangipani to taste their Key Lime Pie. 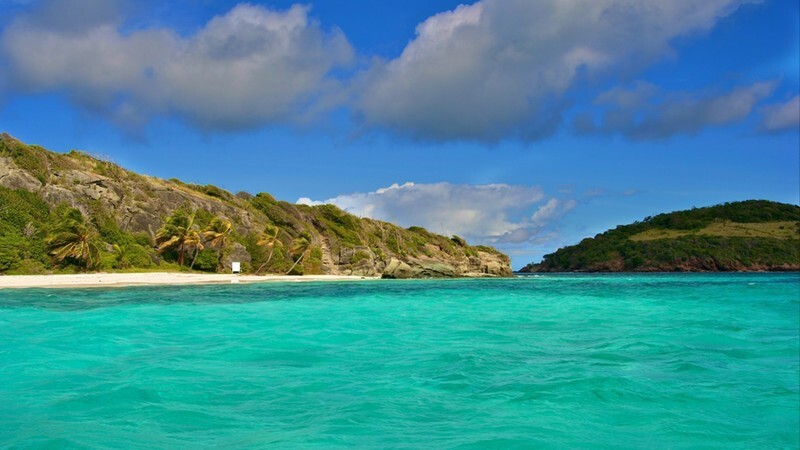 The Tobago Cays Maritime Park is every bit the marine paradise it sounds. Translucent waters invite ducking and diving down to admire the rainbow shoals and coral reefs that sit below the tide. Sea turtles, drifting sting-rays, and open-mouthed barracuda occupy the depths. This is the spot for yacht charters to anchor for guests to snorkel and picnic on the shores to their hearts content. The privately-owned island of Petit St Vincent is worth stopping by for a night or two if you want to leave your yacht charter anchored close by and lap up the luxury of this elegant resort. The pint-sized pleasure island boasts only 22 villas, and everything is kitted out to capture the finest side of luxury living. From swinging in shaded hammocks to kicking back on sugar white sands, enjoying cocktails carried by butlers, eating ceviche and soaking up spa bliss - this is the epitome of a luxury Caribbean getaway. Celebrated as the island of the rock stars, glitzy Mustique managed to catch a private island mood. Leave your yacht charter on the shore and explore the soft manicured lawns, flora clad gardens, beautiful accommodations and floury white sands. Before leaving the perfumed island of Mustique grab a cocktail at celebrity favorite Basil’s Bar perched right beside the harbor. The Grenadines is at its most tempting for yacht charters when the Mediterranean has lost her sultry gaze. When the cold winds start to blow, and the yachts make their way over to the Caribbean, this is the time to swing by St Vincent and the Grenadines. Between the months of February and April the weather is at its driest. June to November and you may see those tropical storms roll in, although the southern locality of the Grenadines means that the hurricanes rarely have a dramatic impact.